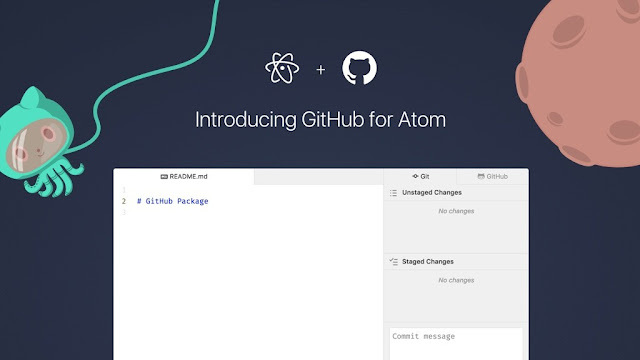 Atom is an open-source text editor developed by GitHub, which support plug-ins written in Node.js and embedded Git Control, with desktop application available for Linux, macOS and Microsoft Windows. While Atom version 1.34 upgrade was released earlier in the month, bringing with it the capabilities to improve commits, the new Atom 1.35 beta release has made it possible to view individual commits via a new pane. The commit preview capability means that developers can now see all changes within their source code in a single pane, and it will allow them to make changes before committing them. Atom 1.35 beta include several changes like the introduction of a pane in the GitHub package to preview contents of an individual commit. Other capabilities include: Button to show or hide input values of passwords in GitHub package, and new pane in the GitHub package to show all file changes in the request. Along with the above features, the editors reliability has also improved, especially as regards text entry in the settings view. The carryover features from Atom 1.34 include support for commit message templates, which allow developers to add template globally or on a per-project basis through a Git configuration. Additionally, Kotlin syntax highlighting feature has been added to the Markdown code blocks.